Looking for paradise? We have found it! Castaway Cay is Disney’s private island, located in the Bahamas. 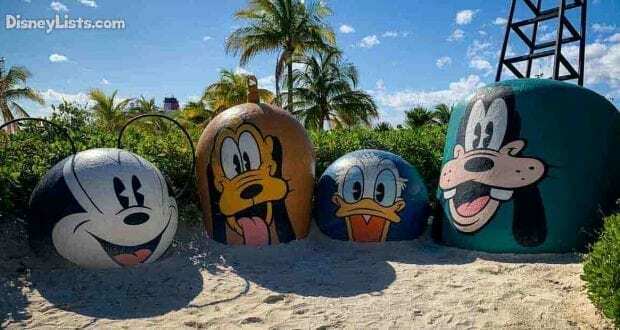 Disney wanted to offer their cruise guests something no cruise line had ever done before – and this private island was it! The Disney Cruise Line is the only ship to dock at this port, and Cast Members fill the island to make it seem like an extension of the unmatched ship experience. 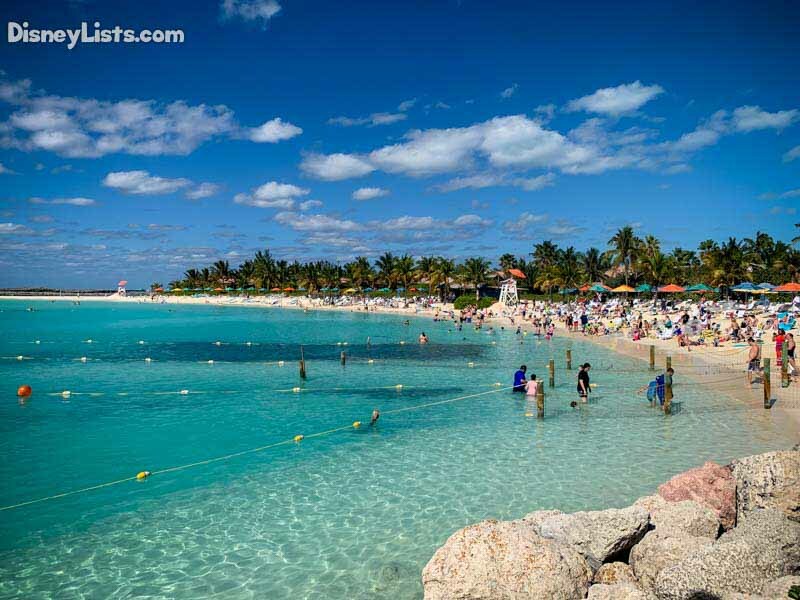 Adults and children alike rave about Castaway Cay for all the right reasons! Before you enjoy the island with your young children, here are a few tips and tricks we’d like to share with you. As the sunrise on the horizon peeks in your veranda or porthole, you’ll want to get ready to get out on the island as soon as the ship docks. The Cruise Directors will give you an estimated time for when they will be allowing guests to exit the ship and we recommend being there right around that time. Being one of the first ones on the island gives you a chance to look at the island when it’s nearly empty and stake out your place well before the rest of the cruisers arrive. We also like letting our kids enjoy themselves on the island in the coolest part of the day. Thankfully, there is no need to haul your children’s passports out to Castaway Cay. All you need is everyone’s key to the world cards, and adult ID’s on hand to return to the ship. We’d recommend wearing lanyards for safe keeping as your hands will likely be full of items you’re carrying around for the kiddos. If you’ve taken a beach vacation with your family – plan to pack for Castaway Cay in the same way. Towels will be handed to you as you exit the boat so don’t worry about packing them! Dress the kids (and yourself) in their swimsuits before you disembark. A bathing suit coverup is nice too. Wear flip flops or swim shoes, bring sunscreen, water camera, and goggles. For the little ones, it’s nice to bring along some sand toys although if you’d like to spend the money, you can purchase these on the island. You’ll also need a watch or phone for the time as you don’t want to miss your boarding time. Plan to reapply sunscreen frequently. Lastly, we’d recommend you do NOT bring a stroller along with you. There is walking involved, but the stroller just won’t work well in the sand. As you pack, keep in mind, you can go back to the ship at any time if you have forgotten something. You are welcome to rent a tube and/or snorkel gear on Castaway Cay. Some people prefer to bring their own, but when packing, we found it easier not to have to worry about these things. Check with Cast Members or Life Guards as to where you can snorkel and use a tube as there are certain areas these are not allowed. Young kids especially love the tube rental which will keep them happy for hours! If you’re looking for some space and maybe didn’t arrive early enough to the beach, we’ve learned the farther away from the ship you go on the family beaches, the less crowded you’ll find the beaches to be. Castaway Cay has plenty of chairs and loungers, so there aren’t any troubles with snagging these. It’s the prime beach spots that seem to fill with people quickly. The prime family beach areas on Castaway Cay as mentioned above are located near their two floating activity areas. 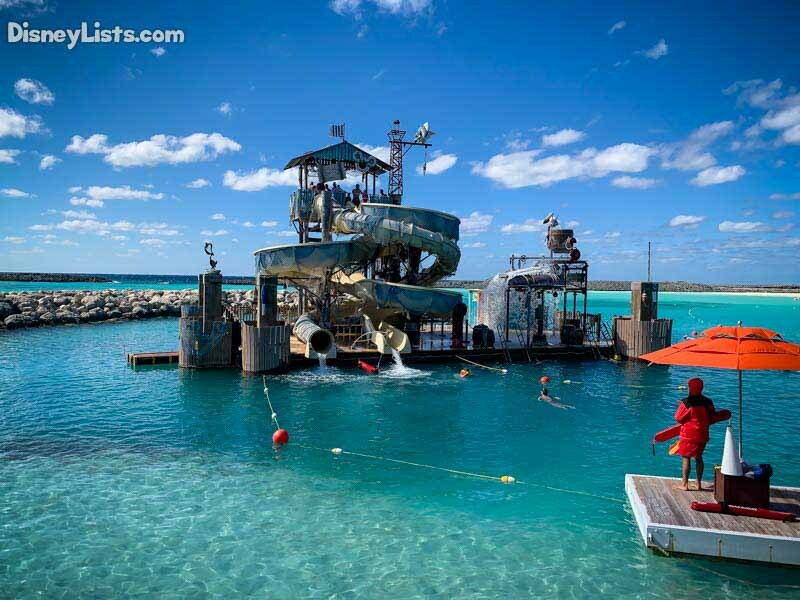 The most popular space is the Pelican Plunge which includes two slides that drop you off right in the ocean. This is a very popular attraction, so we’d recommend doing this as early as possible as the line for the slide does get lengthy. Kids must be 38 inches to slide down Pelican Plunge. There is another space on the beach that has a float climbing attraction. It’s simple and small but is another hot spot on the family beach. If you have a little one that is bummed out that they can’t go on the Pelican Plunge due to height, there is a great splash pad area called Spring-a-Leak, as well as a whale dig site known as Monstro Point. At Monstro Point, kids can dig for artificial whale bones for lots of fun in the sand. The Spring-a-Leak is perfect for the young ones to splash around in! If your kids like the Finding Nemo’s Reef splash pad on the ship, they’ll love the Spring-a-Leak area off the ship. Young kids that have a blast at the ship’s Oceaneer Club and Lab will want to check out Scuttle’s Cove. Numerous children’s activities are available here so kids ages 3-12 can have tons of fun while Mom and Dad go enjoy the adult area of the island. There is no shortage of activities, games, and things to do in Scuttle’s Cove that can keep the kids occupied for hours. This is an especially great opportunity if you’ve planned an adult port activity that the kids are too young for. 9 – Too Much Sun for Infants? If your child is between 6 months and 3 years of age and you’re worried about them getting too much sun while on Castaway Cay, you may want to take them back to the ship to be watched at the It’s a Small World Nursery on board. This way they are being cared for out of the sun, but you’ll still have an opportunity to enjoy Castaway Cay! Don’t forget you can come and go from the ship as much as you’d like so your sweet baby is never out of reach. Chances are the kids are prepared to swim and dig in the sand all day, but there are a few extras we’d recommend taking advantage off. Did you know you can mail a postcard from Castaway Cay’s Post Office located just outside of where you dock? There are cruise postcards found in your stateroom desk free for the taking. 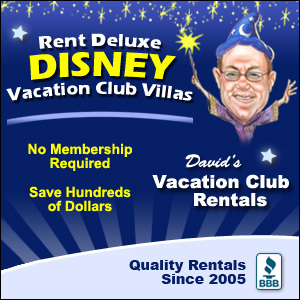 Just image Grandpa and Grandma’s faces when they get a postcard from Disney’s private island! You’ll also have several photo opportunities with the ship as a backdrop. 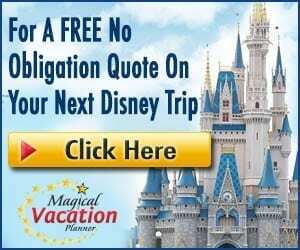 Some of these photo ops include Disney Characters which make for memorable photos with the kids! 11 – Get Ready to Keep Eating! There is never a shortage of food on the Disney Cruise Line. You may leave the boat for the day, but the food follows you! There is plenty of food on the island, and while it’s a simpler menu at a quick-service style window, it is just as delicious. Our kids loved the food on the island almost more than what they got on board the ship! The hot dogs hit the spot with them, and us adults couldn’t get enough of the barbecue ribs. And of course… the ice cream machines can be found on the island as well. Enjoy! Our 10-year-old couldn’t get enough of the AquaDuck but either could the rest of the ship from the way the line looked most of the time! If you’re looking for a great time to ride the AquaDuck, you could always go back on the ship on your Castaway Cay day and ride the AquaDuck with a shorter line. Maybe you just need a little break from the beach – well this is a perfect chance to hit up the AquaDuck while most of the cruisers are on the island. Take a ride then get back out there and enjoy all that Castaway Cay has to offer!